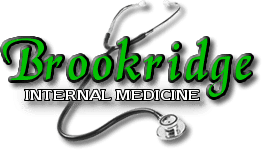 Brookridge Internal Medicine Associates is a patient-oriented practice that has provided the highest quality of care in the Longview, East Texas for over 20 years. Founded by Dr. Brenda Vozza and staffed by certified medical professionals, the comprehensive clinic provides a variety of medical services and in-house laboratory procedures. The experienced team of medical professionals provides expert care in acute and chronic disease management, travel medicine consultations, annual wellness exams for men and women, and preventive medicine and diagnostics. The practice also offers skin biopsies, lung function tests, ABI's or circulation studies, ear irrigation, EKG testing and adult immunizations. Whether you’re looking for your first adult primary care doctor or want to switch providers in the Longview area, Brookridge Internal Medicine Associates is the community’s trusted choice. From addressing acute diseases to chronic conditions, the skilled practitioners at Brookridge Internal Medicine Associates strive to provide service that’s both individualized and empowering. Call or book online to schedule your first visit today. Brookridge Internal Medicine has moved to a new location in Longview, TX. Dr. Vozza is now available on Fridays!